Renegade Craft Fair is returning to Austin for the 9th year for a festive weekend of contemporary handmade goods featuring the country’s foremost voices in craft and design. Kick off the holiday season and Shop Small from 100+ emerging and established Makers, discover rarities and remixes from local DJs, get creative while workshopping, eat from exceptional food trucks and end the day with a cocktail. Pop Shop America is partnering with Etsy + American Express to bring you a one of a kind shopping experience this holiday season! Free to attend, this pop up features plants, jewelry, snacks, goods and more. Kicking off on Black Friday, this event features items handmade by over 200 local and regional artists. 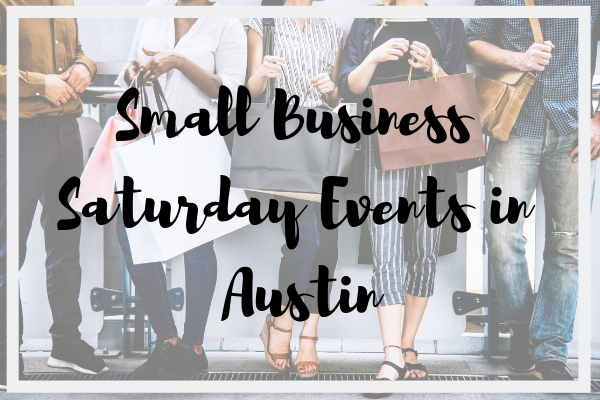 At this free event, you can expect to find a wide variety of gifts like paintings, photography, prints, sculptures, jewelry, clothing, accessories, glassworks, ceramics and more!